Mutual funds are one of the popular options when it comes to investing your money wisely. People who are looking for ways to increase their investment for securing their financial future can trust the mutual fund investments schemes. 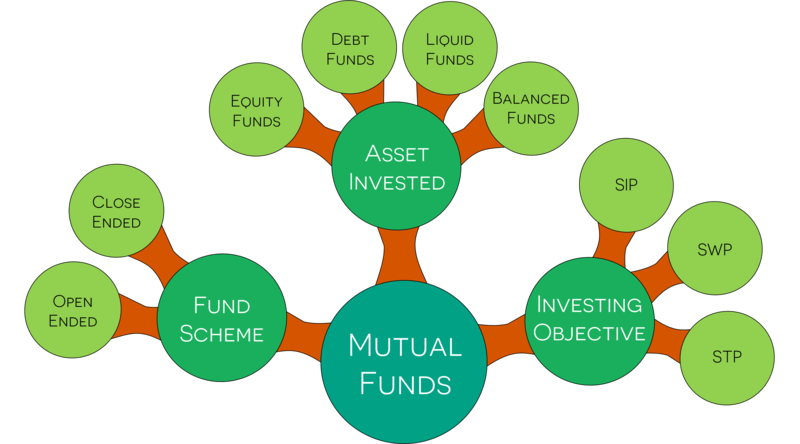 Mutual fund is a type of investment where investors can choose a scheme based on their financial requirements, especially for those who don’t know much about investments. Mutual funds are created using the money from different investors and used in securities such as stocks, bonds, and other money market instruments and other assets. These funds are professionally managed and offer the investors capital gains against a small fee. If you are looking for easy ways to invest your money that will provide you with handsome returns then you should invest in mutual funds. To begin with, mutual funds do not require any experience, knowledge of economics, or financial markets. Your portfolio will be managed by professionals and all you need to do is choose a program that matches your budget. One of the best things about the mutual funds is that it can be personalized for your use. You can choose from many types of investments types and reap the benefits. Mutual fund investment is for everyone. No matter how much money you have you can always find the comfortable amount to invest in. You can choose to invest in as low as $1000 mutual fund purchase. There are different types of mutual funds and depending on their nature their prices can be very low. For example, if you choose a systematic investment program with a fixed dollar amount or fixed number of shares, your investment can be less than $3000. If you compare the cost of maintenance of the portfolio like the transaction cost, costs to the brokerage firms and so on, you will find that they are less expensive than the other type of portfolios. One of the key benefits of the mutual funds investments is that you can easily buy them. You can purchase from different sources like brokerage firms, mutual fund companies, insurance companies, online brokers and more. It only takes few minutes to open your account, for example in a mutual company fund like Vanguard Investments. This no-hassle feature of the mutual funds makes it one of the best ways people can invest. For people who would like something simple and less complicated ways to smartly invest their money, mutual funds are the bet options. The mutual funds allow you to diversify your portfolio to maximize your returns. You can choose from various categories and types of mutual funds. Apart from investing in stocks, bonds and cash, you can also invest in some of the sub-categories like the sector funds. You learn as you grow your portfolio. It is one of the main benefits of the mutual funds that they are easy to understand. You can also fully manage your own portfolio and maximize your investment for a better financial future. Usually the mutual fund investment portfolio is professionally managed by a team of experts. They do the research and analysis to find the best investments for you. You don’t have to do all the complicated things. You will saving hours of your time and leave the tasks to the team. This is why mutual funds are so great. Even with minimum knowledge, you can rest assured that your money is going in the right places. Mutual funds are flexible, diverse and versatile. Many people happily investment in the mutual funds and reap the benefits. You get to choose from all kinds of investments types, right from the automatic deposit, 401(k) plans, dividends, short-term savings, long-term savings, systematic withdrawal, annuity sub-accounts, and more. You will be happy to know that mutual funds are the most common types of securities investments in 401(k) plans and IRAs. Mutual funds are and transparent, which is why so many people are willing to invest in it. You can easily avail the information you need for investment on the mutual fund company’s website or prospectus. You get what you pay for. If you have doubts about the efficiency and transparency of the mutual fund investment, then stop worrying. You can know everything you need to know or don’t need to know. You can easily make an informed investment decision with mutual funds. A mutual fund investment is ideal for all type of investors whether new or old. It comes with many benefits and it is also secure so you can easily invest your money and enjoy all the perks.